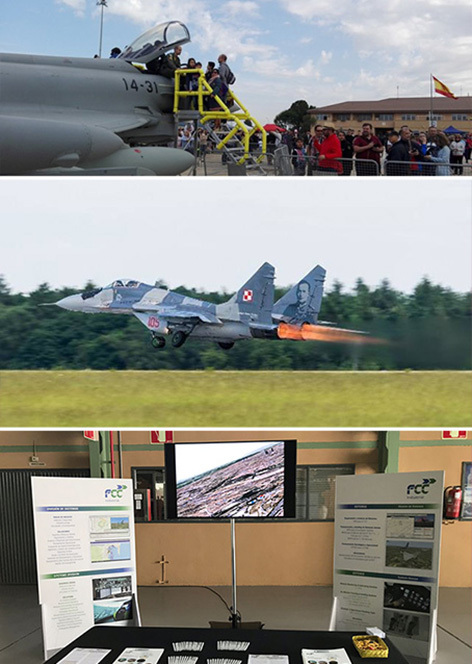 On May 12th our MICE division, Conference Studio, partnered with FCC to set up the Albacete Air Base Open Day. The event was specially relevant, as it celebrated the 40th aniversary of the NATO Tactical Leadership Programme. Hence, a special exhibition explaining four decades of pioneering military technology was enjoyed by more than 30,000 people. Attendees were also able to come close to such classic jets as F16, Eurofighter, AMX, Mirage 2000 and even a flight test by the legendary Harrier model, a jewel of the Spanish Air Force. Cow Events goes Gold… twice!